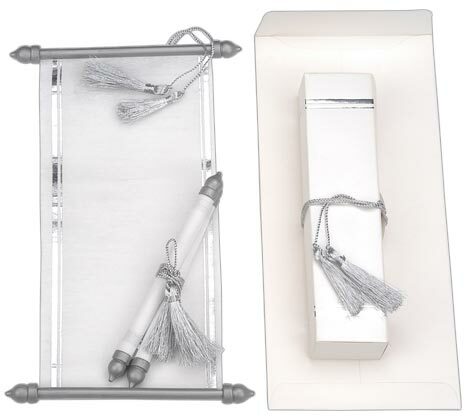 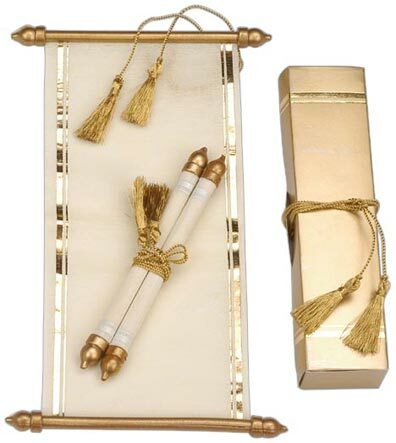 Christening Scroll invitations make a very unique statement. 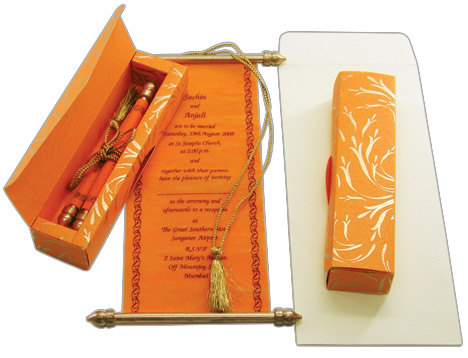 Whether made in silk handmade paper, velveteen, or vellum, the overwhelming response to these handmade invitations is unanimous. 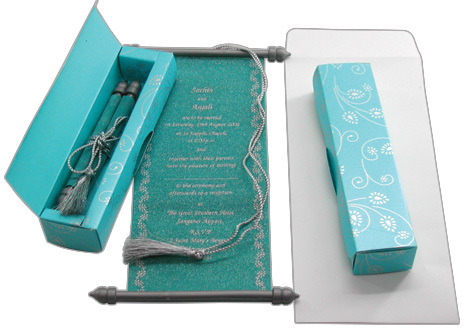 As with all our invitations, these can be customized with your color themes in mind, and of course, engraving, letterpress and calligraphy masters (our favorite) are available. 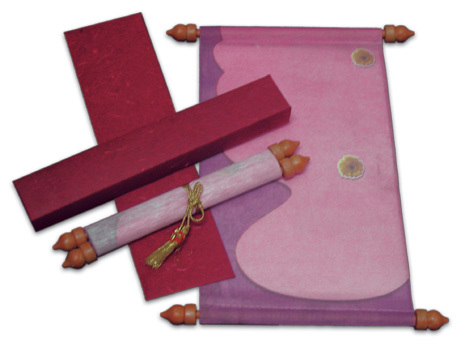 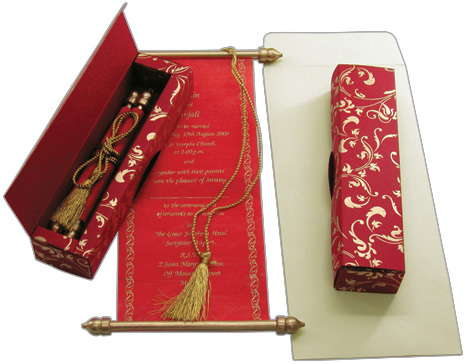 Scrolls can be vertical or horizontal in orientation. 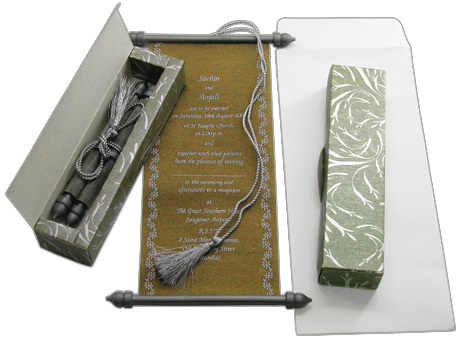 You can mix and match components of different collections OR customize your own design. 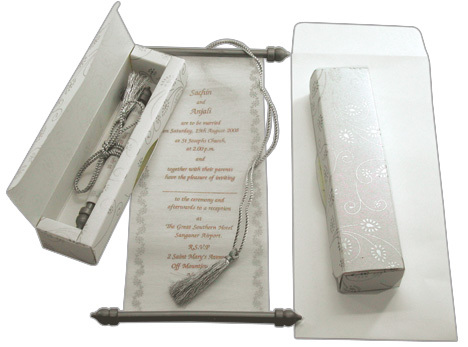 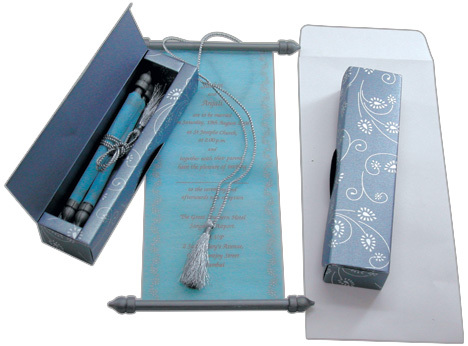 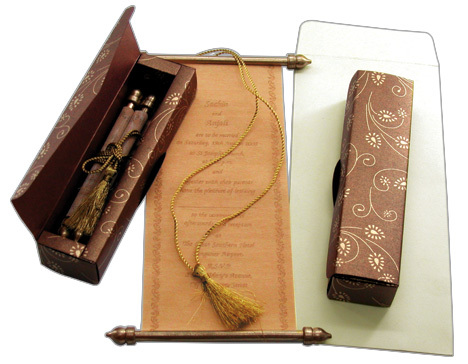 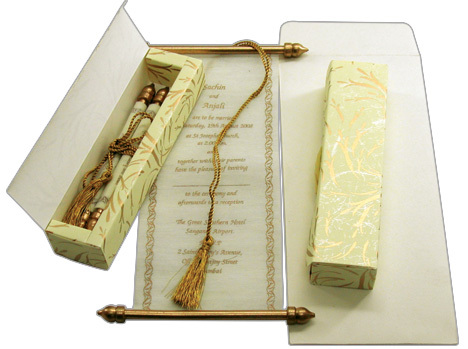 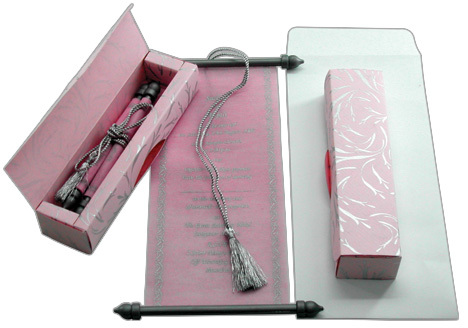 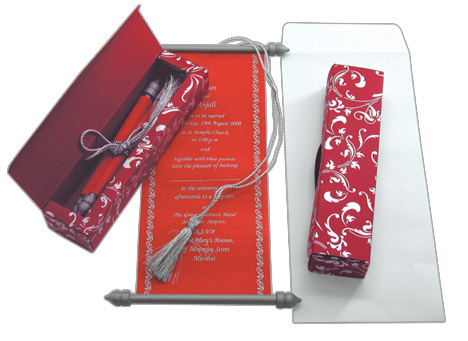 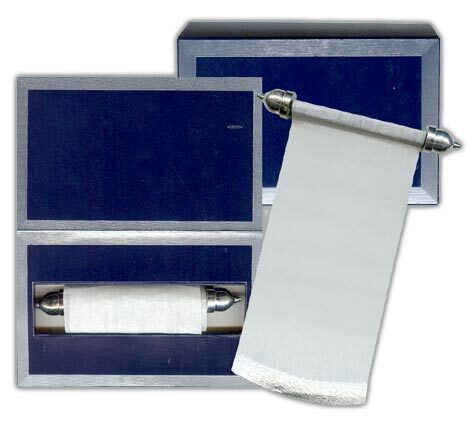 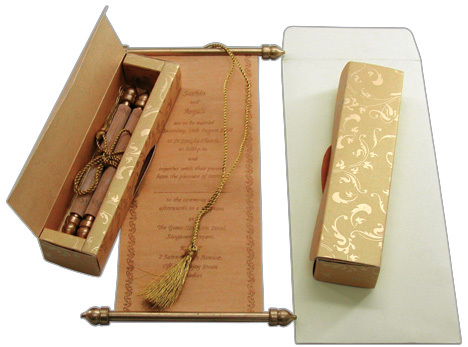 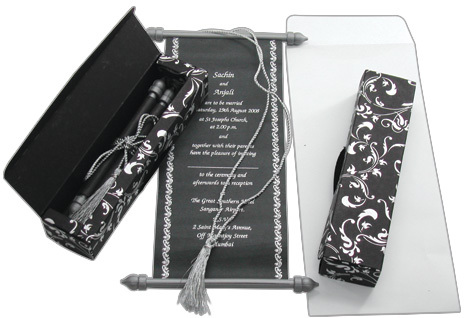 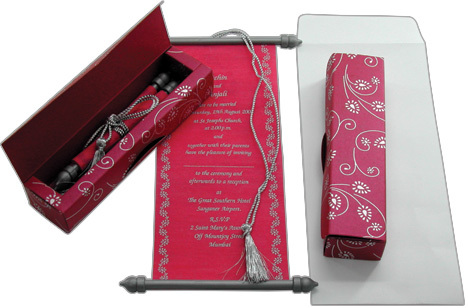 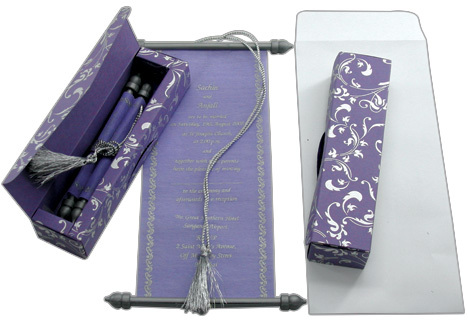 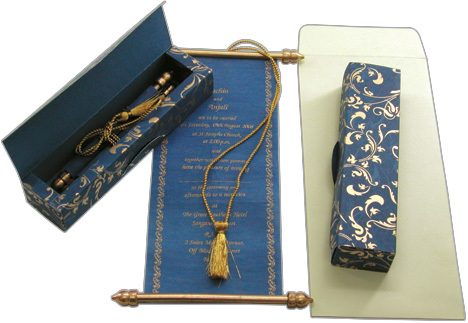 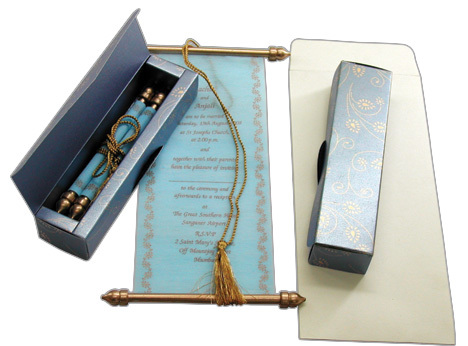 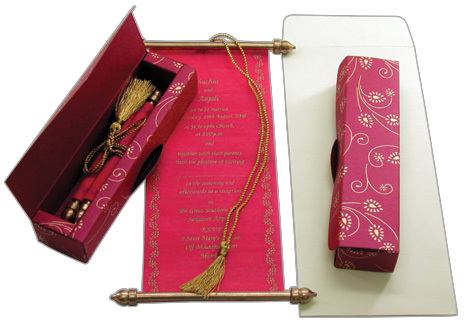 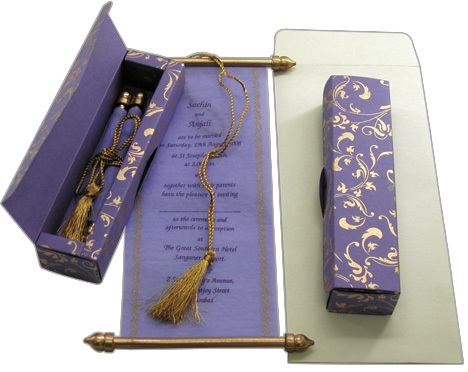 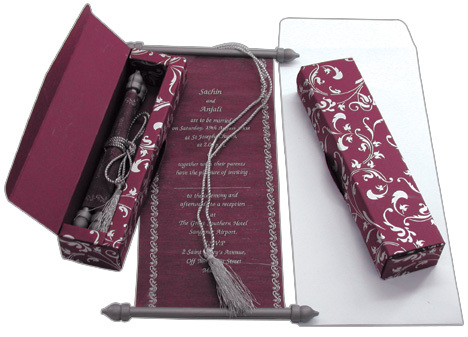 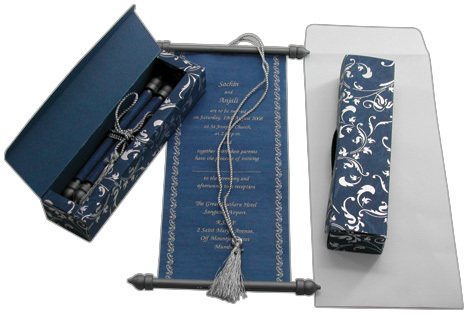 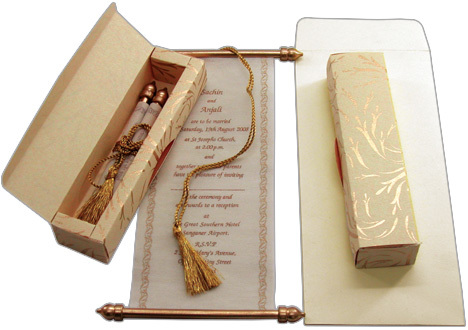 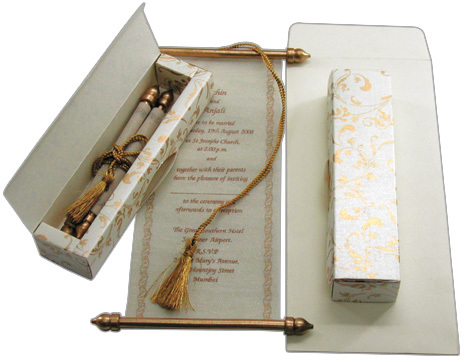 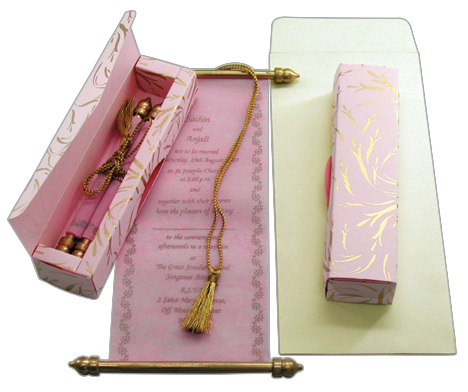 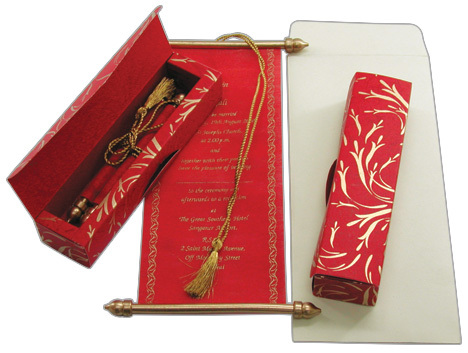 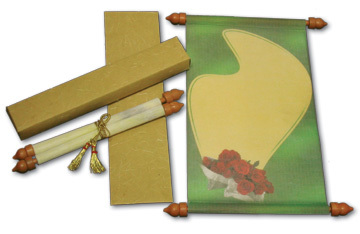 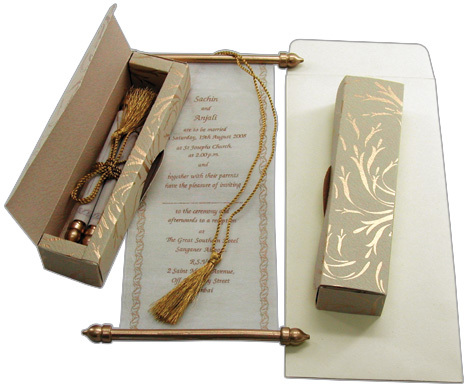 You can choose from our unique line of Christening invitations - whether cards or scrolls. 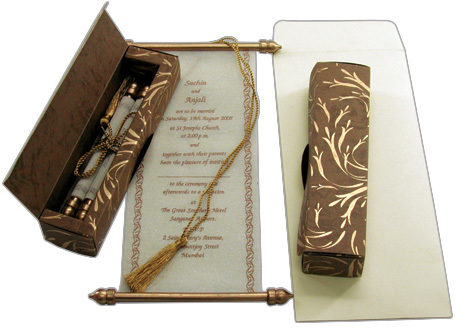 Pick the designs by browsing through our pages, then call us for a quote. 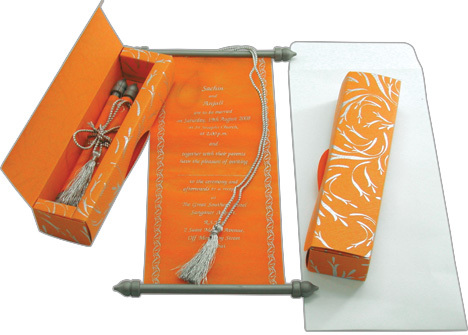 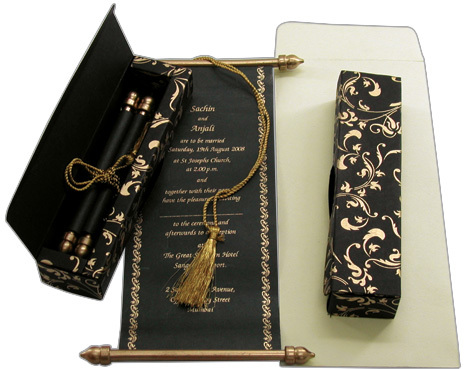 You can also mix and match components of any invitation, or create a brand new unique concept. 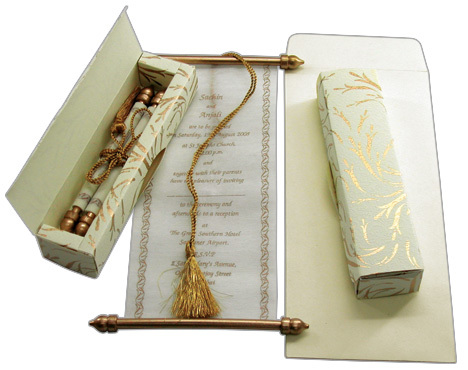 Just call us at 718-676-9146 for your consultation. 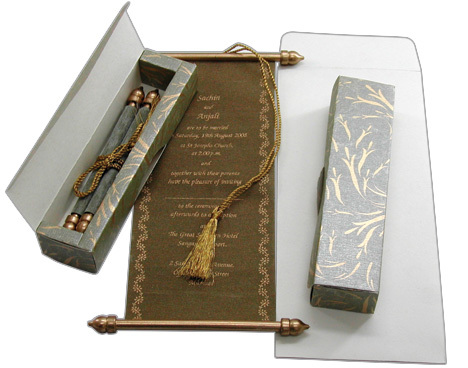 Each Unique Christening Invitation Package includes a personalized invitation, coordinated response card and mailer envelopes. 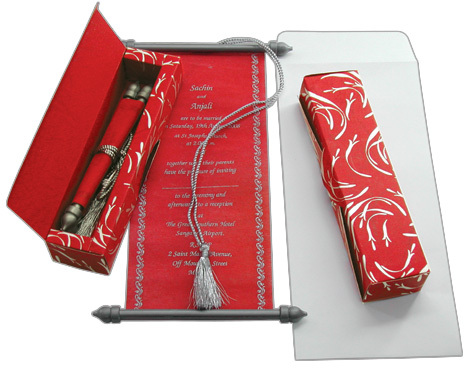 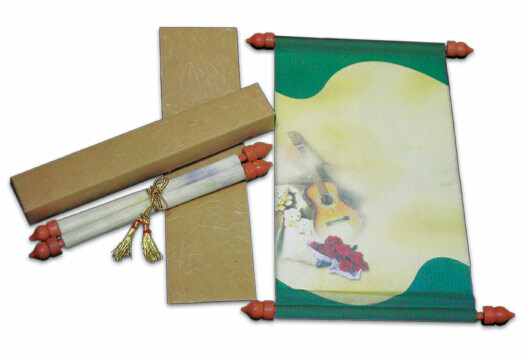 We will personalize and address all envelopes.